REGINA -A lawyer who was Ottawa’s chief negotiator in talks that led to the creation of Nunavut has been named Saskatchewan’s new lieutenant-governor. Prime Minister Justin Trudeau has announced that Tom Molloy will succeed Vaughn Solomon Schofield as the Queen’s representative in Saskatchewan. Molloy, who is from Saskatoon, has negotiated numerous agreements and treaty settlements with Indigenous Peoples. In addition to being the federal government’s chief negotiator for the Nunavut Land Claim Agreement, Molloy led the team that negotiated the Nisga’a Final Agreement, which is the first modern-day treaty in British Columbia. He also negotiated the Inuit of Northern Quebec’s offshore claim in Nunavut and Newfoundland and Labrador. 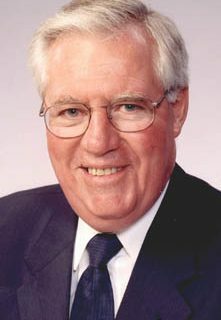 Molloy served as chancellor of the University of Saskatchewan from 2001 to 2007. “Mr. Molloy is an outstanding negotiator who has played a central role in numerous agreements and treaty settlements with Indigenous Peoples,” Trudeau said in a news release. Lieutenant-governors are appointed by the Governor General on the recommendation of the prime minister. They serve terms of at least five years. Schofield, who was the head of a business real-estate firm, has held the post since 2012. Premier Brad Wall thanked her for her six years of service. “I have greatly appreciated her friendship and wise counsel over the years and in particular, I am grateful for her dedication and support for Canada’s military and our veterans,” Wall said in a news release.